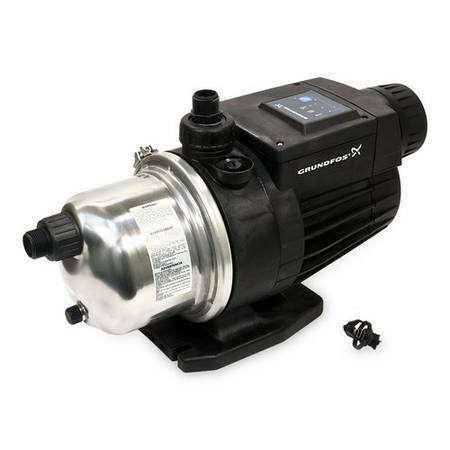 Grundfos MQ3-45 1 HP 115 Volt Internally controlled Fresh water residential well lift and or booster pump. for parts or repair Flow rate 22 GPM 65 PSI 25 foot suction lift capacity. Easy installation, 1 inch piping, plug in power, internal pressure tank and preset pressure controls.